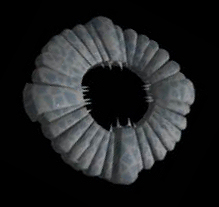 In 1892 Whiteaves described a spine-bearing segmented fossil from the Mt Stephen trilobite beds in the Canadian Rockies as the abdomen and tail of a phyllopod crustacean. He called it Anomalocaris canadensis, noting in its generic name that it was an "anomalous shrimp," since it showed no sign of a gut, and its ventral, spine-like "appendages" were unsegmented. 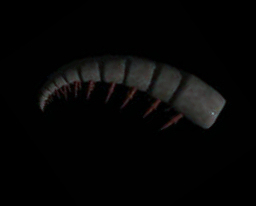 Subsequently, this and other parts of what we now call Anomalocaris and Laggania have been variously described as a jellyfish, a sea cucumber, a polychaete worm, a composite of a jellyfish and sponge (Conway Morris 1978), or have been attached to various other arthropods, real or conjectural (e.g., Henricksen 1928, Briggs 1979). 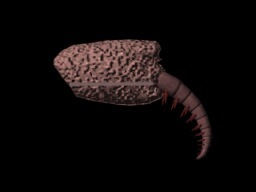 Isolated anterior appendages of Anomalocaris were initially interpreted as the bodies of shrimp. 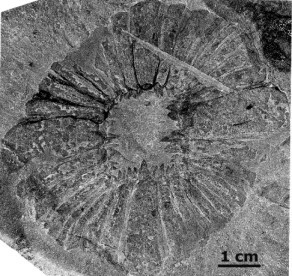 Peytoia (the mouth of Anomalocaris) was named and described by Walcott (1911) as a sort of jellyfish. Laggania was interpreted initially as a sea cucumber. Meanwhile, in 1928, an incorrect "head" for Anomalocaris was proposed via the carapace of a crustacean called Tuzoia.